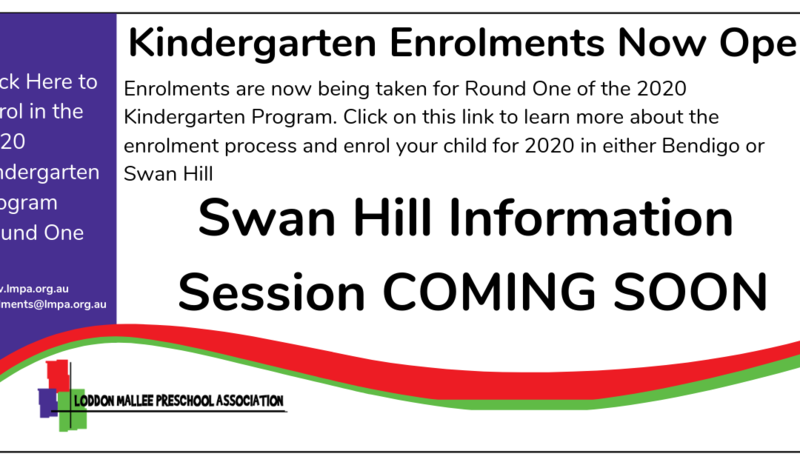 A date is currently being planned for Swan Hill families to attend an information session to assist with their enrolment in Kindergarten for the 2020 year. Stay tuned for updates. Enrolments are now being taken for Round One of the 2020 Kindergarten Program. Click on this link to learn more about the enrolment process and enrol your child for 2020 in either Bendigo or Swan Hill. Click Here to learn more about the enrolment process and enrol your child for 2020.